Tokarz resides in a small village in Tioga County, Pa. Growing up, he helped his father with carpentry projects which led him to become a lifelong woodworker and craftsman. He has a unique sensibility and appreciation for wood high quality woods. He says, "As I craft the raw materials, I let the wood speak to me. I pour my heart and soul into finishing the wood product to the highest level, bringing out the natural beauty of the wood and providing a functional finish". The end result is a gorgeous product that showcases the wood's beauty and functionality. Carol is a local artist specializing in textiles. She makes and dyes her own materials which she uses to make wearable art as well as weavings and mixed media artworks. Truly one of a kind! 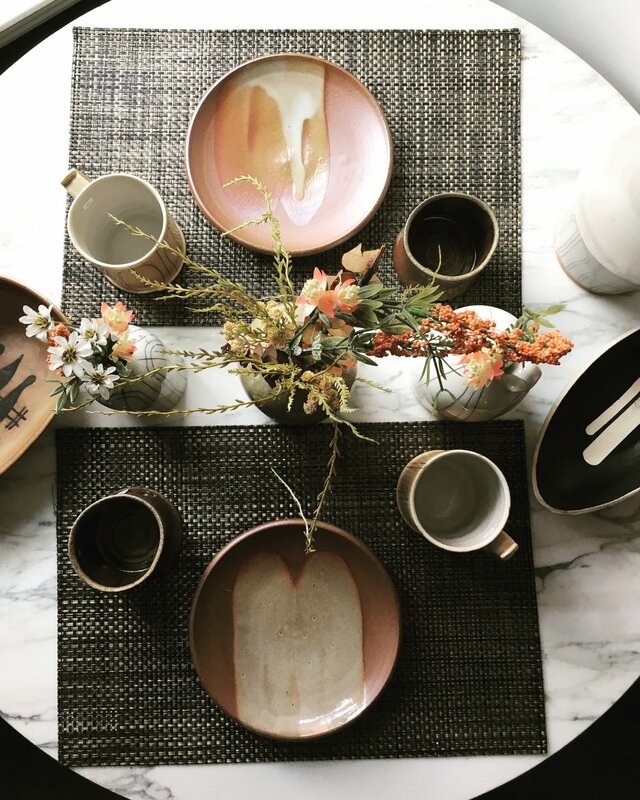 Brown is a 5th generation pottery living in Seagrove, NC. He creates stunning ceramic art utilizing local North Carolina clays. He says it best, "I enjoy making wood fired alkaline glazed and salted pots. Many of the shapes that I make today are like the ones that my Grandfather and Great-Great Grandfather made. I see pots in two ways: shape and surface. The shapes are designed by me and the surfaces are decorated by fire. Occasionally the best shape and the best surface find each other; this is my forever pursuit."